Warm up your pool for year round use! Use your pool through the winter! A warm pool is a great place to relax with family & friends. 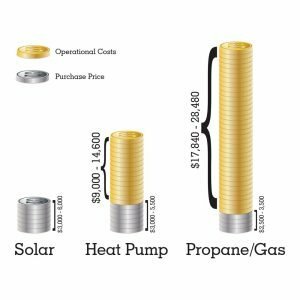 A properly sized and installed solar system in Florida that can double your swim season and raises the pool temperature as much as 10-15°F. Cost of ownership. 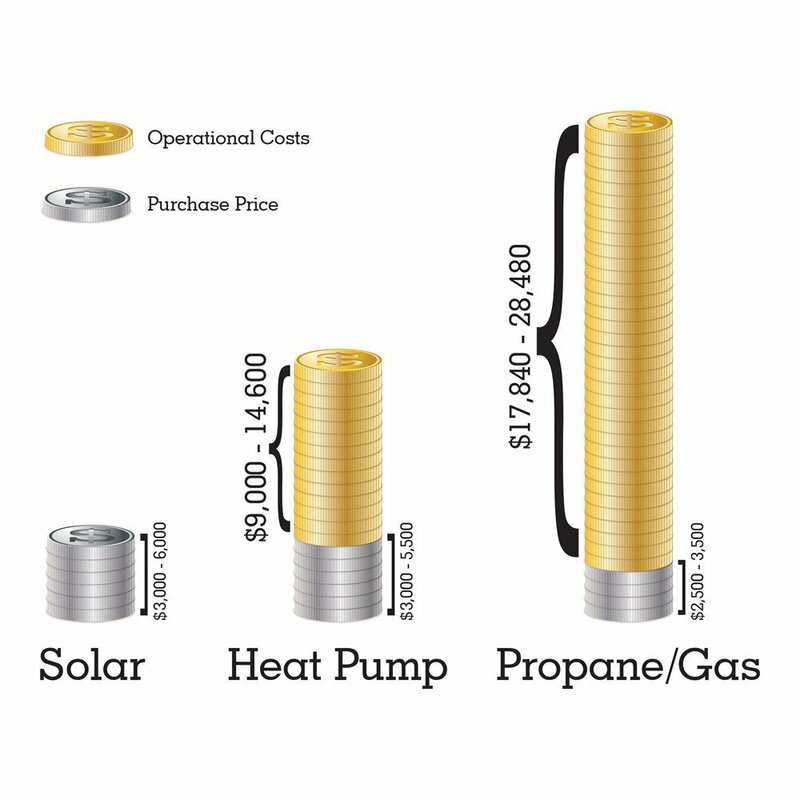 Solar heating is a lower cost than gas or electric. Which pool heating option makes the most sense to you? 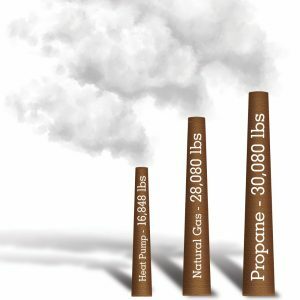 Heating a pool with fossil fuels is not a long term solution. 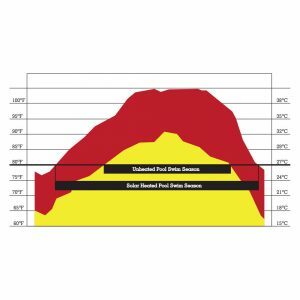 FREE ENERGY from the sun not only conserves energy – it protects our environment. 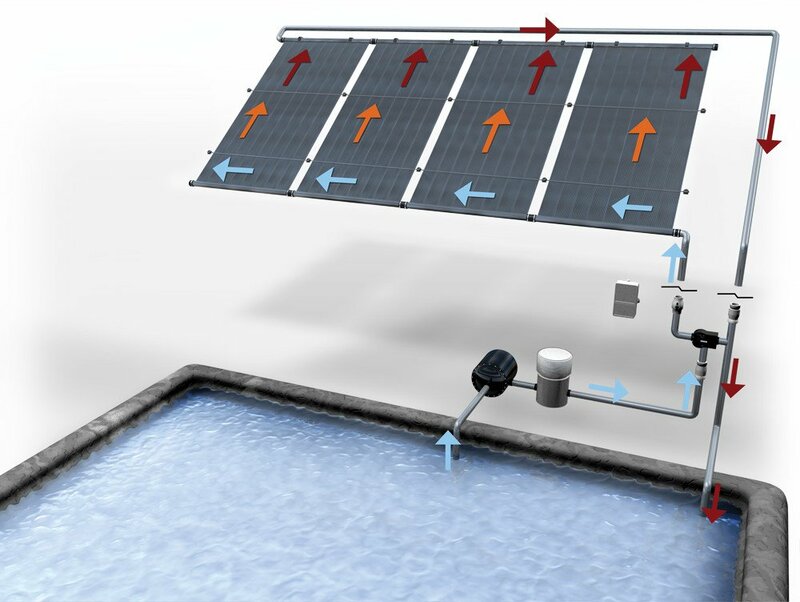 We use your existing pool equipment and divert the pool water to the solar collectors where the water is heated by the sun’s free energy. The water is then returned to the pool by way of the existing pool plumbing.